Just a fortnight on from their dominant display at the Italian Grand Prix, it was impossible to imagine that Mercedes would be so far off the pace in Singapore. World championship leader Lewis Hamilton had cruised to a dominant 25-second victory over Ferrari’s Sebastian Vettel at Monza. On the back of such crushing superiority, only a brave man would have bet against another win for the German marque. 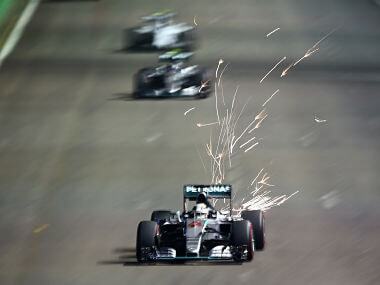 Sure, the gap between Mercedes and their rivals was always going to close up in Singapore. Performance in a straight line doesn’t count for as much around the tight and twisty confines of the Marina Bay street circuit as at a high speed track like Monza. But Mercedes were still expected to be the team to beat. 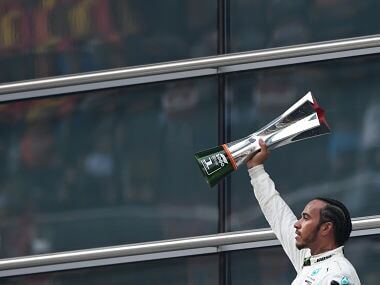 Going into the weekend, all the talk was about how Hamilton already had one hand on the title; about how his margin was such that he could seal the championship without needing to win another race; or that he could afford not to finish two races and still lead even if his principal title-rival Nico Rosberg won them. That he would actually fail to finish was not part of any script written ahead of the race. He had, after all, won seven of the 12 races leading up to the Singapore Grand Prix and finished off the podium just once this season. 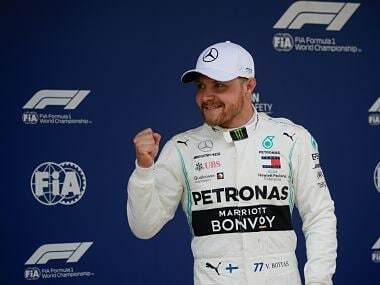 It’s difficult to bet against such blistering form and Hamilton headed into the weekend on course for a hat-trick of wins and as the favourite to notch up his 41st career victory, emulating boyhood hero Ayrton Senna. Mercedes duly topped the weekend’s first session of running, though it was Rosberg that led the timesheets ahead of Hamilton at the end of opening practice. The first sign of a departure from the normal order of things only emerged at the end of the second of Friday’s two sessions. Red Bull’s Daniil Kvyat led Ferrari’s Kimi Raikkonen and teammate Daniel Ricciardo at the top of the timesheets. Hamilton was fourth and Rosberg seventh. The lead Mercedes was, however, only three-tenths of a second adrift and it was felt that the Silver Arrows were simply holding back. They had been so comfortably ahead in recent races and were so confident in their advantage that they were trying something different here rather than chasing pure performance. Rosberg was over half a second off the pace as a result of going the wrong way on the set up but Hamilton appeared fairly relaxed with the outcome. The competition was a lot closer than at Monza but that had always been expected. Mercedes also lagged Red Bull and Ferrari marginally on the long-run race simulations, but not by enough to be beaten by their pursuers provided they locked out the front row. It was also only Friday, when variables like the different fuel loads different teams run are difficult to factor in. No, the champions were either sandbagging or taking longer than usual to adapt their car to the unique demands of the circuit. Come Saturday, the normal order, with the two Mercedes at the front of the field, would be restored. Saturday’s final practice session, which teams and drivers generally use to limber up for qualifying, suggested Mercedes might be in trouble. It was the two Ferraris that led the way from the two Red Bulls. The Mercedes were only fifth and sixth, over a second off the pace. Ironically, the size of the deficit made it easier to believe that the champions were playing their cards close to their chest. Surely, a team that had been so dominant a fortnight ago, and indeed all season, couldn’t be so far off the pace. And it was still practice, after all. But by the time the curtain came down on the first session of qualifying, it was blindingly obvious – Mercedes were simply not fast enough. 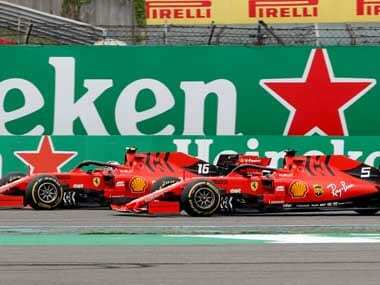 They would start the race from the third row of the grid, having lapped a second and a half off the pace, their 23-race streak of pole positions at an end and Hamilton and Rosberg resigned to playing a bit-part, supporting role in Sunday’s race. Neither Hamilton, Rosberg or team boss Toto Wolff could explain why. Wolff said the team had simply been unable to get the tyres to work properly at a track which makes very unique demands of the rubber. “The car hasn’t changed. It’s still a very good car aerodynamically and the engine hasn’t changed,” the Austrian said. Of course this is not the first time that Mercedes have failed to win this year, nor even the first time this season that neither of their two drivers has finished on the podium. But unlike in Malaysia and Hungary, where had the speed to win but were either outfoxed on strategy or tripped over themselves, in Singapore they were just not fast enough. Rosberg finished a distant fourth, 24.7 seconds behind Vettel. 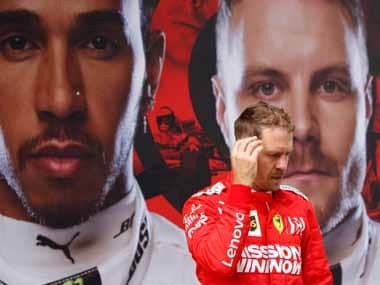 Even Hamilton, who had moved up a place to fourth before he was forced into his first retirement since last year’s Belgian Grand Prix, had never really looked like being in contention. Which raises the question – was this just a one-off race where Mercedes genuinely struggled for pace or is it a pattern that will unravel over the final third of the season? It won’t be long before we find out. The Japanese Grand Prix follows just a week after the Singapore race and is held at Suzuka, a high- speed circuit with long straights and fast, sweeping corners that should be tailor-made for Mercedes’ strengths. “I’m always on the pessimistic side but I don’t believe that we’re losing car performance from one race weekend to the other in the dramatic way like we did and I equally don’t believe that somebody found a second and a half from one weekend to the other,” Wolff said. Rivals are also expecting Mercedes to be back performing at their dominant best in Japan.